We would like to welcome you to our web site and thank you for visiting us. 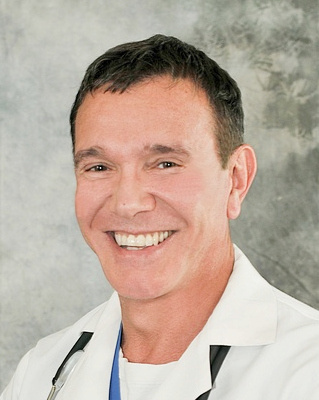 Dr. Pappolla's is an MD and the medical director at our clinics. His training includes a Doctorate (PhD) Degree in Human Aging and medical residencies and fellowships training in Neurology and Pain Medicine (Anesthesia based) and also in Clinical Pathology, Anatomic Pathology, and Neuropathology. This training required 10 additional years of formal medical education (following graduation from Medical School) all pursued in programs accredited by the American Board of Medical Specialties, considered the "gold-standard" in physician education in the United States. His scientific work in the field of aging research includes more than 100 publications and book chapters. Dr. Pappolla's research is cited in more than 800 textbooks worldwide (for independent analysis, please view some of the research by clicking here: http://books.google.com/books?q=pappolla ). Dr. Pappolla holds active board-certifications in 5 disciplines of Medicine (Pain Management, Neurology, Anatomic Pathology, Clinical Pathology and Neuropathology). Due to his world renown expertise in Human Aging, Dr. Pappolla received a prestigious appointment at the National Institutes of Health where he has also been serving the public at large for over 20 years (National Institutes of Health). He also held appointments as a full Professor or Faculty at several of the most prestigious medical schools in the USA (LSU New Orleans, Mount Sinai Medical School in New York City, University of Texas at Houston) where he taught medical students and medical residents for over 20 years. Dr. Pappolla has also served as Chairman of Neurology and Director of Neurosciences in one of the largest tertiary care centers in Mississippi, till about the time when his practice was disrupted by hurricane Katrina.